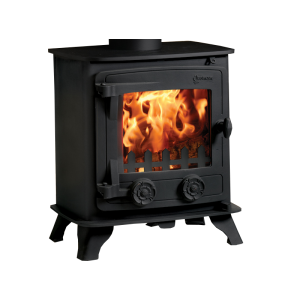 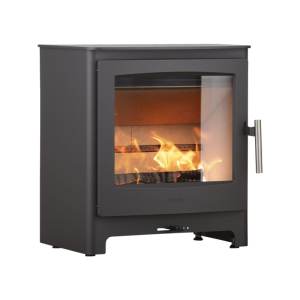 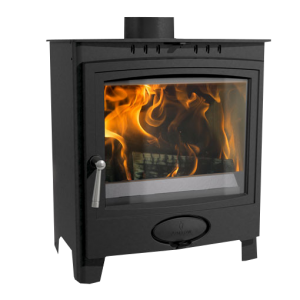 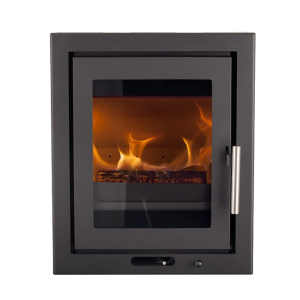 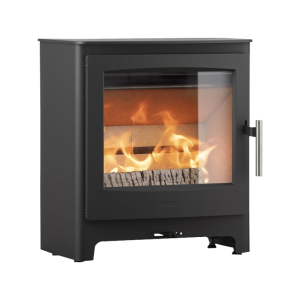 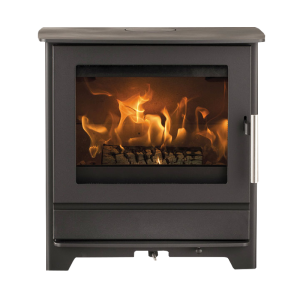 The Trinity 1 is a compact multifuel stove in the contemporary range with distinct square styling. 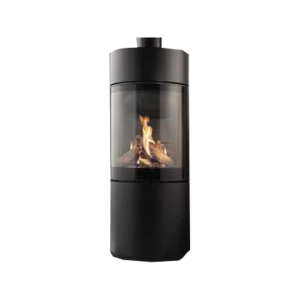 The large glass panel is swept clean by a poweful airwash to give excellent views of the flames. 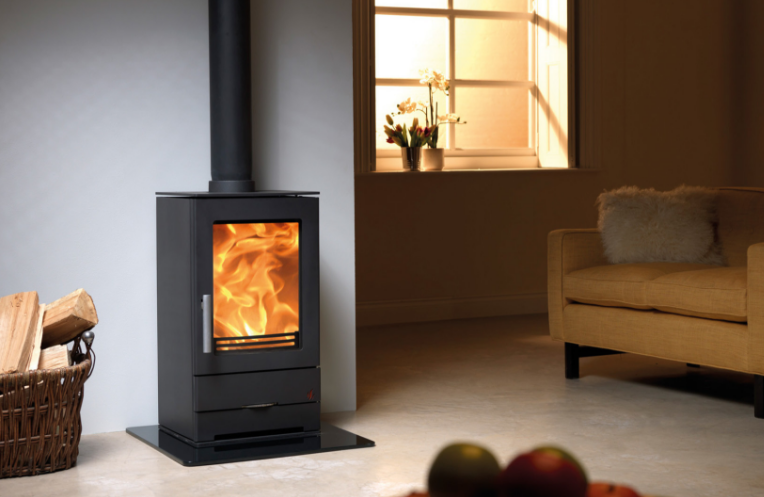 Being smoke exempt means you can burn wood even in smoke controlled areas as well as smokeless fuels. 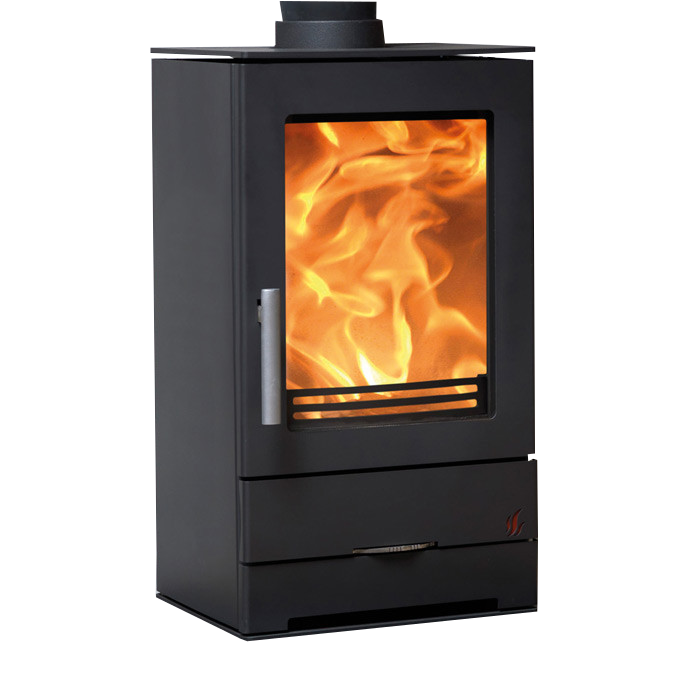 It has a 5Kw output and is finished in matt black paint. 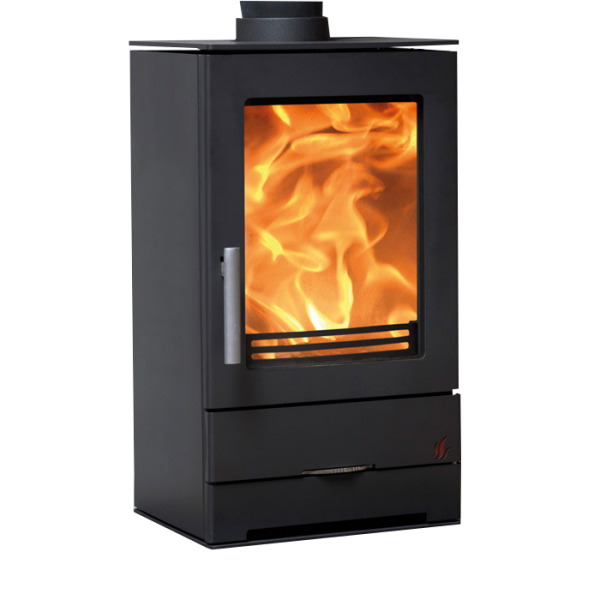 The Trinity is easy to operate and has a convenient ash removal system with an anti-spill lid.